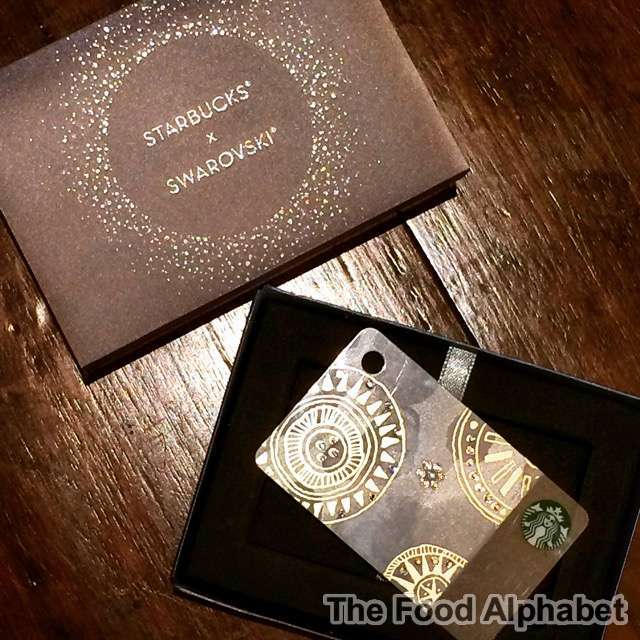 The Food Alphabet and More: New Starbucks Cards, New Starbucks Collaboration Card and a Limited Edition Starbucks Swarovski Collectible Card You Will Want! New Starbucks Cards, New Starbucks Collaboration Card and a Limited Edition Starbucks Swarovski Collectible Card You Will Want! 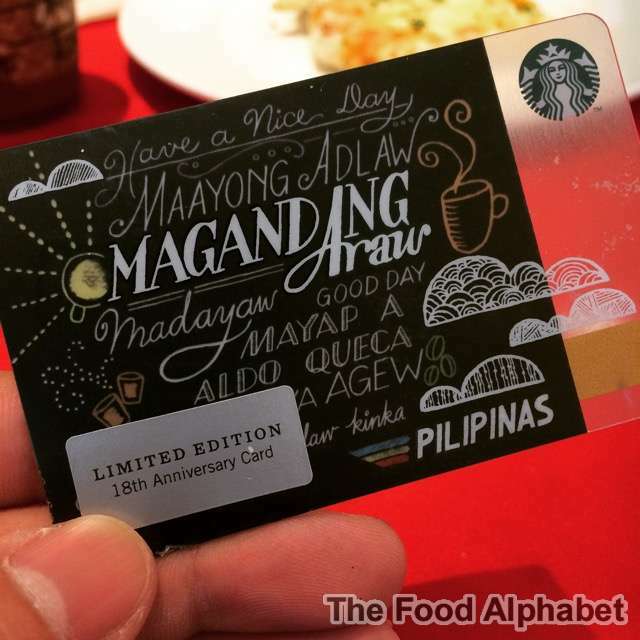 Are you an avid collector of Starbucks Cards in the Philippines, even if you're just a casual collector or have yet to have your very own Starbucks Card, this year's Christmas selection of cards may be the most exciting year yet for Starbucks Cards in the Philippines, featuring new Starbucks Cards, New Starbucks Collaboration, Anniversary Card and a limited edition collectible Starbucks Card you would to get your hands on. 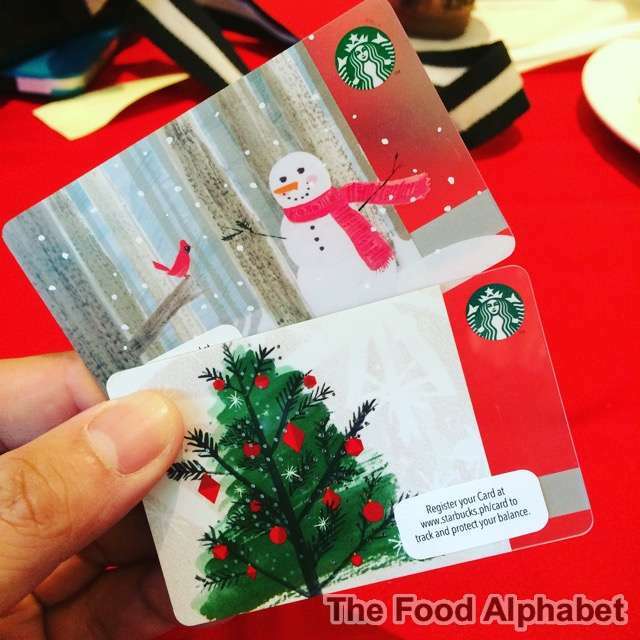 This year Starbucks is launching not 1 not 2 but a total of 6 (six) Starbucks Cards for you to celebrate the season of Joy! Let me do a run thru of what to expect this year. 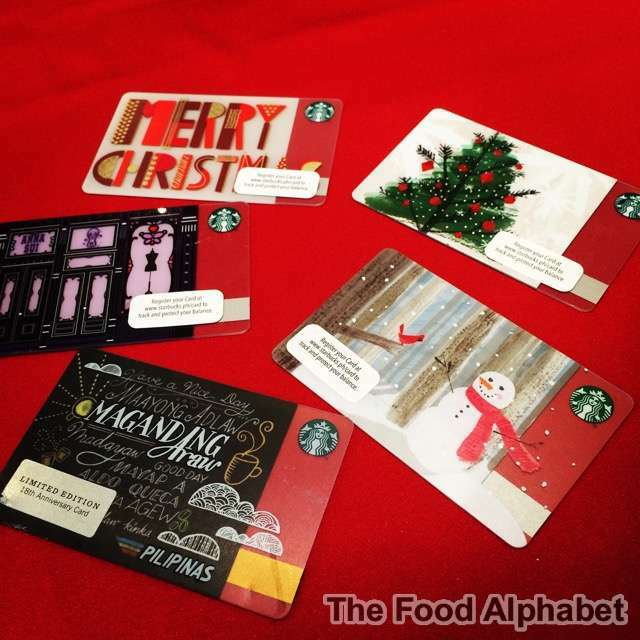 Again this year, we are changing what we usually do, and will have different launch dates for each set of these new Starbucks Cards, just enough to keep you longing and wanting these new cards. First off, the Starbucks Holiday Tree and Snowman Card designs are back for an initial consumable load amount of PhP300, these classic cards serves as a perfect gift idea that anyone on your list will surely love, these cards will be available starting November 2nd. 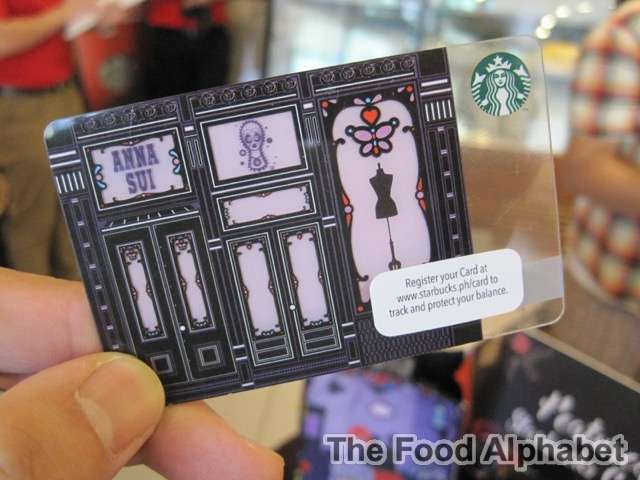 Next up, the first ever Starbucks collaboration card, Starbucks teamed up with fashion designer Anna Sui for a Card that's the perfect gift for trendsetting Starbucks fans, who loves fashion as much as they love their Starbucks! Available starting December 1 for an initial load of P1,000, these cards will be sold only a limited number of stores, we will keep you posted once we have the complete list of stores that will be carrying this. 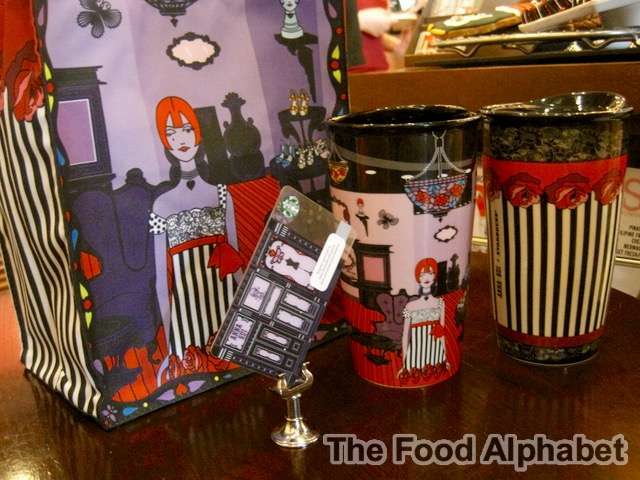 Apart from the Anna Sui Starbucks Card, comes Anna Sui's very own line of Starbucks merchandise suited for the fashion savvy Starbucks fans which will also be available starting Dec. 1, only on select Starbucks stores where the card will be sold as well. This design is inspired by our chalk art and the different communities where we are in the Philippines. Local phrases translate to "Have a nice day" - a way to thank customers for inviting us into moments of their day in the last 18 years. Available starting December 4 for an initial consumable load amount of ₱300. Say "Merry Christmas" with this Card - a design spark for a last-minute gift idea. Available starting December 15 for an initial consumable load amount of ₱300. Last but definitely the best, be enchanted with Starbucks featured Cards as it partners with Swarovski®, the world's leading producer of precision-cut crystals. Send your best Yuletide wishes to your family and friends through the Starbucks x Swarovski® Mini Card, decorated with 29 dazzling Swarovski® crystals. 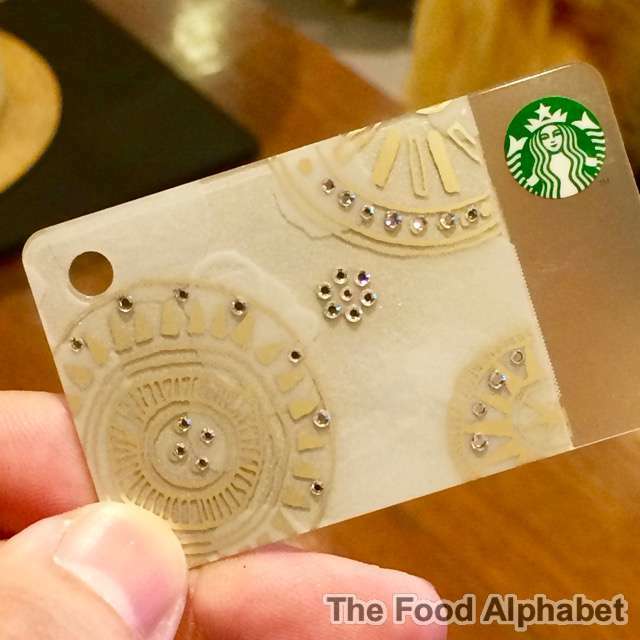 A closer look at this special limited edition Starbucks x Swarovski Card design is dazzling with 29 Swarovski crystals. Available starting November 2 for an initial consumable load amount of ₱2,500, yup that's consumable so don't even think twice about getting this limited edition Starbucks x Swarovski Mini Card. Get your hands on this card as soon as November 2, as these are very limited and only sold at certain stores, again we will keep you posted as soon as we get the list of stores who will be selling this. I Tower Manila - P Noval St.
Lee Gardens - Shaw Blvd. Medical City - Level 1 - Ortigas Ave.
Pm Apartments - Matalino St.
Tomas Morato - Dr. Lazcano St.
Torre Lorenzo - Taft Ave.
Worldwide Corporate Center - Shaw Blvd. Collect all six (6) card designs and have a Merry Christmas! Don't forget to collect those stickers as well for your purchases on your annual Starbucks Planner tradition, this year featuring a collaboration with Moleskine. 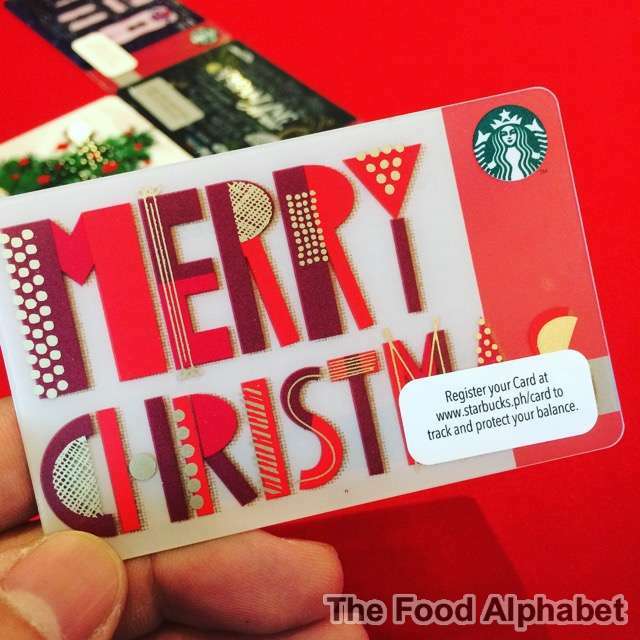 Remember to register your card at www.starbucks.ph/card and receive great rewards for every purchase of your favorite Starbucks beverages using a Starbucks Card. Crafted with specialized designs, each iconic Starbucks Card will surely spark a smile on any occasion. good day. I was just wondering if you still have the swarovski card and the ann sui card available. by any chance,are you willing to sell them for a reasonable price?